Pest description and crop damage The principal leafroller pest of caneberries is the orange tortrix, which tends to infest early ripening caneberries and some blackberries. The obliquebanded leafroller is another leafroller species found in caneberry fields. Adults of these two species are buff-color moths with wing spans of 12-20 mm, and bell-shaped at rest. 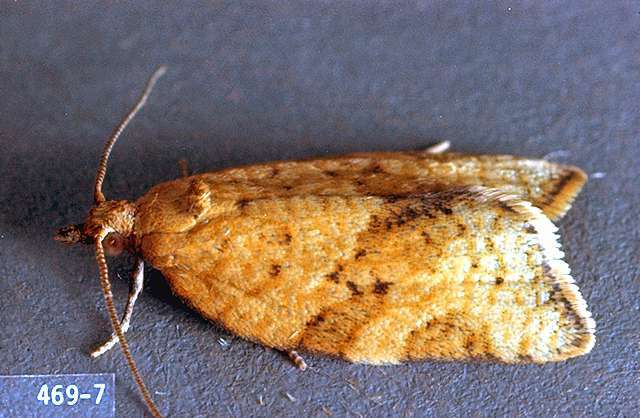 The larvae of the orange tortrix are light cream to green with light brown heads, and are up to 12mm long at maturity. Obliquebanded leafroller larvae are similar in size but are darker green with dark brown to black heads. 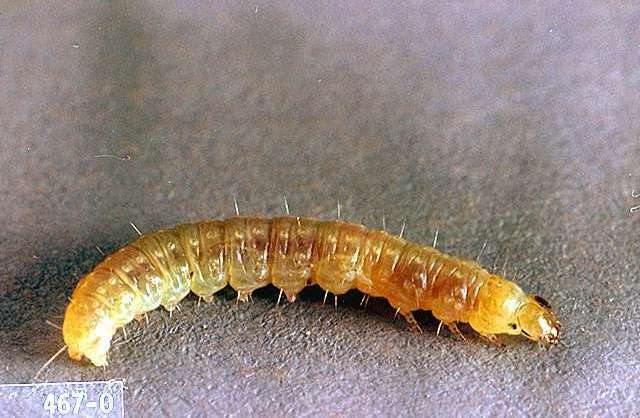 The larvae roll and tie leaves together with silk for shelter and feeding; they wriggle and thrash about violently when disturbed. Eggs are green and laid on leaves in clusters. They hatch in about 10 to 14 days. 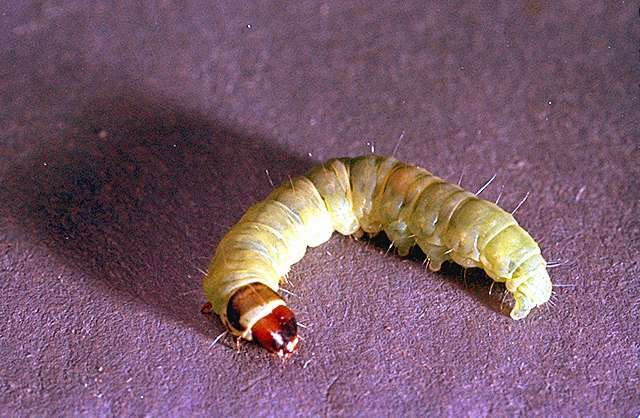 The larvae feed on leaves, which causes relatively minor damage. Feeding on the growing points of young plants can promote undesirable branching. Fruit quality can decrease from binding of leaves to developing fruit or contamination during harvest. 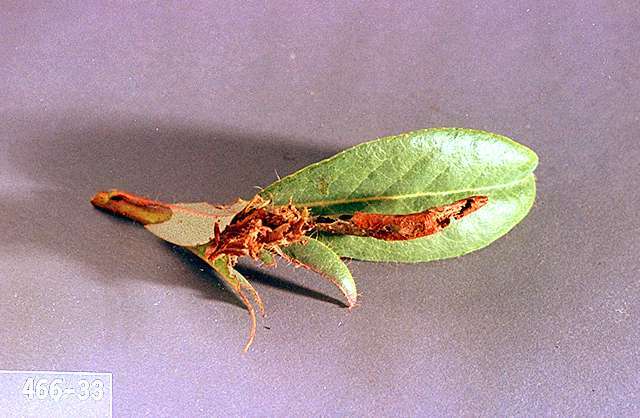 Larval feeding on blossoms is thought to spread Botrytis fruit rot disease. 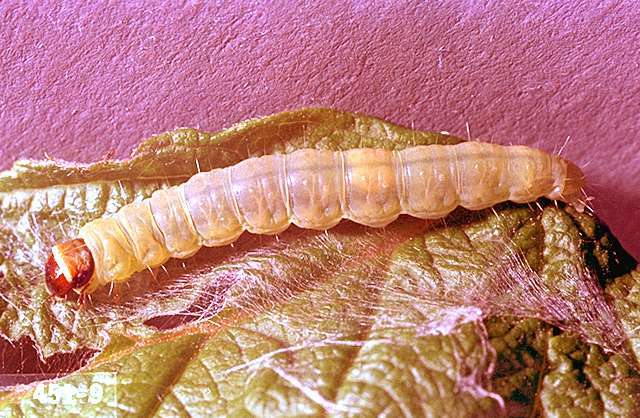 Biology and life history Both species overwinter as larvae on a variety of host plants. Larvae may feed during warm periods in winter but become active in spring with onset of new growth. Pupation occurs within the larval leaf roll. 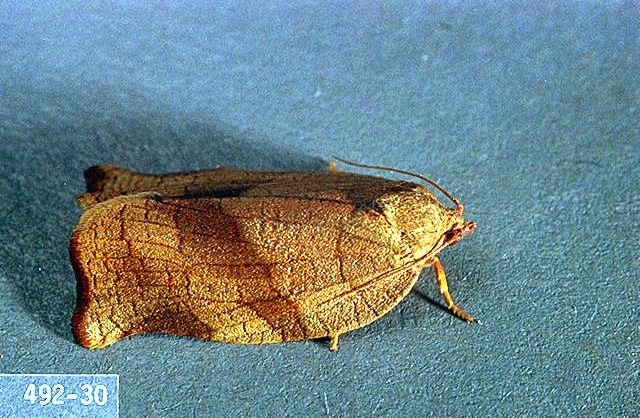 Depending on species, adult moths emerge from April to July. These adults lay eggs for the next generation. There are two to three generations per year. Very low temperatures in winter significantly reduce overwintering populations. Spiders and parasitic/predatory insects greatly reduce leafroller populations throughout the year. Removal of overwintering sites, such as rolled leaves on the ground or plastered to canes, can reduce next year's population. Proper pruning and training of canes can reduce leafroller populations. Avoid use of broad-spectrum insecticides which can disrupt natural enemies. Bacillus thuringiensis (Bt) (several brands)-Consult label for rate. PHI 0 days. Use according to individual manufacturer's directions. Do not use DiPel ES with captan fungicide; the mixture will bronze foliage. Some formulations are OMRI-listed for organic use. bifenthrin (Brigade and other brands) at 0.05 to 0.1 lb ai/a. PHI 3 days. Do not exceed two applications per crop season. Only one pre-bloom application of bifenthrin is allowed: either soil-applied for crown borer control or foliar-applied for root weevil or leafroller control, but not both. carbaryl (Sevin and other brands) at 1 to 2 lb ai/a. PHI 7 days. Apply pre-bloom. Do not use during bloom; it is highly hazardous to bees. Examine fields in April and May to determine need for control. Latex-based formulations such as Sevin XLR Plus are less hazardous to bees. Carbaryl use may aggravate mite problems and cause increased populations later in the season. chlorantraniliprole (Altacor) at 0.066 to 0.099 lb ai/a. PHI 3 days. Do not exceed 0.2 lb ai/a per crop season. esfenvalerate (Asana XL) at 0.025 to 0.05 lb ai/a. PHI 7 days. Apply no earlier than 12 days before harvest. Asana can act as a bee repellent; do not apply within 7 days of pollination. Apply as a pre-bloom or post-bloom spray only. Remove bees prior to application. For maximum safety to bees, apply in the evening after sunset. Some caneberries, such as red raspberries, have substantial bloom remaining during the 5-day window for first application. Because of pollinator hazard, WSU entomologists do not recommend its use on red raspberries.Restricted use pesticide. fenpropathrin (Danitol) at 0.2 to 0.3 lb ai/a. PHI 3 days. Do not exceed two applications per season. malathion (several brands) at 1.5 to 2 lb ai/a. PHI 1 day. EC formulations may burn foliage. Do not use on bloom; it is highly hazardous to bees. Restricted use pesticide. methoxyfenozide (Intrepid 2F) at 0.16 to 0.25 lb ai/a. PHI 3 days. 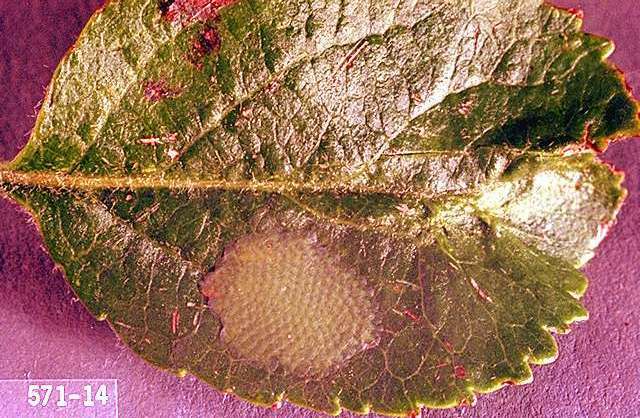 For overwintering populations, make one to two applications between budbreak and petal fall, when young larvae are active. For the summer generation, begin applications at peak moth flight. Additional applications at 10- to 14-day intervals may be required under high pest pressure.